Since I am going to be traveling at least once a month for the next few months, I figured I’d share my 10 travel essentials. 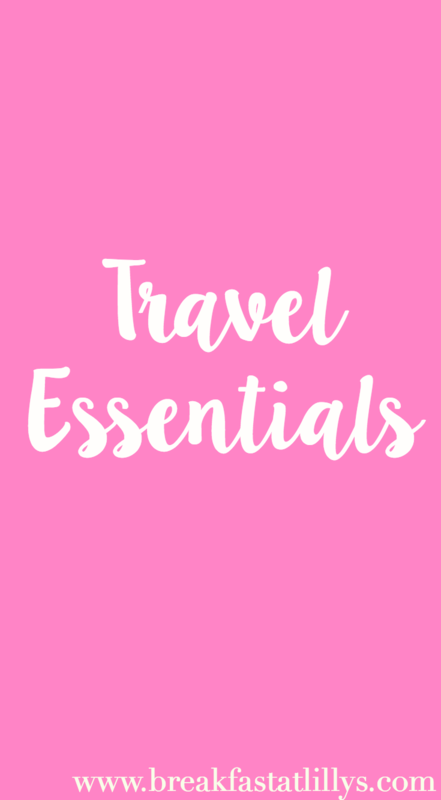 I will be traveling by car for pretty much all of my trips so my essentials will probably be a little different than someone who is traveling by plane but I still figured it’d be a handy post to make. Onto my travel essentials. These will include everything but clothes because that’s just obvious. A good book // When traveling having a good book on hand is necessary. At times you will get bored so fitting in a little reading time will help the trip go by quicker. Headphones // I always bring headphones in my purse because you never know when you’ll need them. If the person you’re traveling with doesn’t want to listen to the same music as you, you can always just pop in your headphones and call it a day. Pillow/blanket // I always bring my own pillow and blanket especially during road trips. Sometimes you just need a little nap so these definitely come in handy. Toiletries Case filled with toiletries // I always travel with my cute toiletries case from Vera Bradley. I fill it with anything and everything I will ever need during the trip. Snacks // I always like to have snacks on hand when traveling because you never know when you will get hungry during a long drive and also to minimize my stops at random gas stations. Medicine // I bring medicine anytime I travel because I tend to get headaches after a long day of traveling so this is a definite must. A Good Playlist or Podcast List // I am not really sure what I would do without a good playlist or podcast when driving long distances. The radio gets old pretty fast so it’s nice to have your own music or a new podcast to listen to while making the drive. Water Bottle // I always have water with me during my drives so that I can minimize my stops and keep on trucking to my destination. Cash // Because sometimes toll roads just don’t accept credit cards. There’s a ton of toll roads in Texas so if you don’t have a toll tag, then make sure to have this on hand. Car Charger // Since you’re probably using your phone’s GPS, your battery is going to drain fairly quickly. Make sure you have a car charger so you don’t end up lost because your GPS and lifeline aka your phone died. What are your top 10 travel essentials? Let me down in the comments.